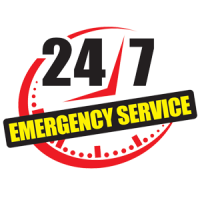 24 Hour Sewer & Drain Cleaning. 24 Hour Local Service! This is a Very Small list of things that can be in your sewer. 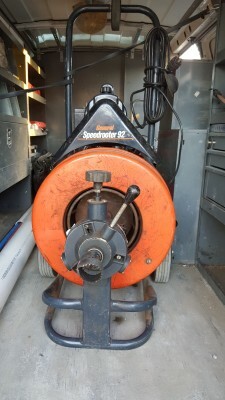 We have the Equiptment to get your Sewer & Drain Open. How do you know my Drain is Broken? 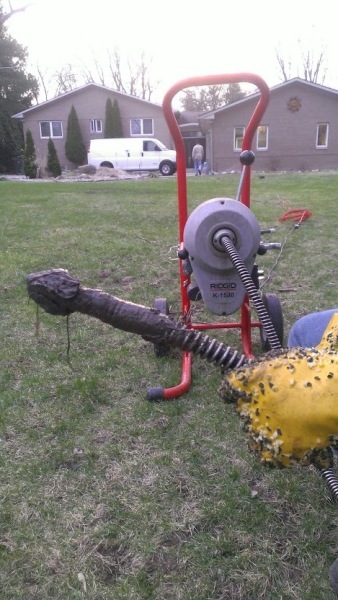 Its Not easy to say a Customers Sewer & Drain Line is Broken. that the Sewer & Drain line is Broken or Collapsed. When snaking a Sewer & Dain line our Techs can feel how bad the problem is. It comes with experience and all of our tech have plenty of experience. However if our machines power slows down ,stops or even kinks up we half to pull back and look at the head and see if we can maybe see what the problem is. Sometimes its alot of Tree Roots but when we Pull Back head that has Mud or Dirt like the pictures Below. Then you know forsure Yes my Drain is Broken.